If I Can’t Fit into Your Box, Do I Still Exist? Falling into a habit of validation by way of unsolicited definition, we have evolved into a society overrun by invisible boxes. To be seen as other— to identify as queer, black, or a woman – is met by a myriad of external designations that exist merely to grant value or organise these boxes. Where do these definitions arise from? And where do the perceptions that we hold of ourselves fit into society’s expectation of us? To what extent are the truths that we continue to be guided by our own—to what extent have they been imposed by external forces, unbeknownst to us, yet unquestionably adhered to? 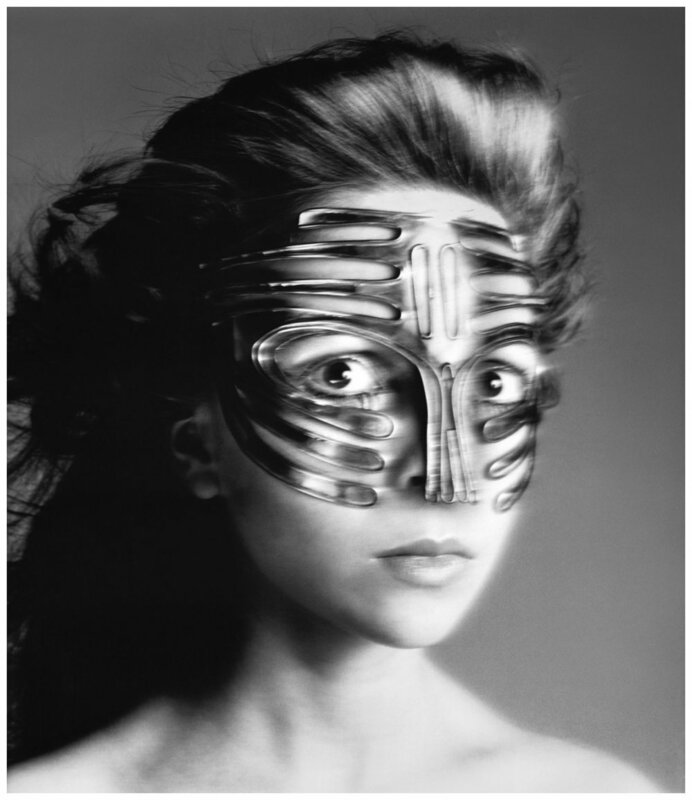 Penelope Tree in Emanuel Ungaro Mask, shot by Richard Avedon, 1968. Once given a box to fit into, we will attempt all possible vicissitudes in order to justify that space. Life becomes permeated by substantial anxiety stemming from the worry of non-fulfilment of all corners of our allotted boxes. We stand in fear of facing the ultimate misnomer-led displacement. Popular media’s pervasive nature readily encourages our lack of questioning. The entertainment, fashion, and beauty industries all contribute to the perpetuation and reinforcement of these stereotypes and objectified notions, whereby we are left sifting through promoted and solidified definitions. Our mutual validation to these ideals will continue to prolong an entirely curated society constructed by sets of manicured standards, rather than by reality. If as an artist, I am characterised as a black woman, angst brews in my modest struggle and attempt to fit a mould I recognise, yet not entirely as my own. I obsessively undertake role after role in the troughs of my mind, where the image of myself quickly blurs amidst the constant trials and failures to achieve the definition forced upon me. My voice becomes indistinguishable amidst the gravity of theirs, telling me that I should, I should, I should. An unsought token status is often appointed to me, alongside questioned legitimacy of my “blackness,” inclined towards my decision to wear straight rather than “natural” hair styles. Backs have been turned in my presence; my aura has been deemed “too white” for the company of my peers. It would require both my hands and feet to recount the number of times that assumption has been mistaken for compliment, in regard to my willingness to be considered a sexual object. Female relationships have been questioned simply by the resonant absence of male presence. We are often negated by the objectively defined notions cast onto us. Our voices are often muted, where presumption is seen for what we create and share with the world. Too often, creativity struggles to meet certain imposed standards - of blackness, or certain femininity — suffocating genuine expressions of ourselves, in the presence of these barriers. My own perception can easily be taken away from me, and deftly held victim to scrutiny, as a result of the colour of my skin, of whom I choose to love, or by the gender identity I´ve been assigned and kept. Language of Oppression, 2014 by Stephanie Bell May. Cover Image - From the Mask series, 1961-1962 by Inge Morath.